Delays and wait times at advance warehouses are becoming the norm rather than the exception. On April 11th, our driver arrived to deliver a booth in Las Vegas, Nevada. The driver arrived before noon. He wasn’t unloaded until 10:00 PM that night. Sounds like a normal day at the Las Vegas Convention Center, right? But our driver wasn’t delivering to the convention center – he was delivering to the advance warehouse. 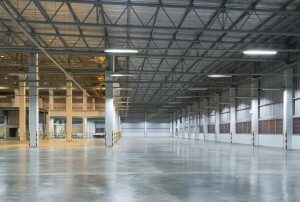 For major convention markets, wait time at advance warehouses has started to become the norm rather than the exception. When Should You Ship to the Advanced Warehouse Instead of the Show Site? Our customers consider many factors before deciding to ship to the advance warehouse instead of shipping directly to show site, including wait time. The conventional wisdom is shippers can avoid costly detention time by shipping to the advance warehouse. If you’re shipping your freight to a warehouse for a major show in Chicago, Las Vegas, New York, Orlando, and many other major cities, you can no longer count on detention-free deliveries. While convention centers have the capability to unload a large number of trucks at any given time, most advance warehouses don’t. For example, on April 11th, our driver was one of 200 trucks waiting to deliver and the warehouse was operating only 3 dock doors. Waiting time at advance warehouses can be difficult to predict. The best way to minimize the likelihood for detention time at an advance warehouse is to avoid waiting to the last minute to ship. Your greatest chance to incur wait time is to deliver on the last day the warehouse is open for a particular show. Shipping your freight a week early drastically reduces your chance of issues on the delivery to the warehouse. This entry was posted on Friday, May 12th, 2017	at 2:14 pm	and is filed under AFP Expo, Trade Shows	. You can follow any responses to this entry through the RSS 2.0	feed. Both comments and pings are currently closed.